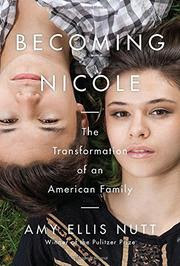 Becoming Nicole: The Transformation of an American Family came out in 2015 and it’s a must read for today. This will be a short review as I want the book itself to show readers one middle class family’s story. The book chronicles the changes in the family’s life beginning when one of their identical twin toddler boys begins insisting that he’s a girl. Pulitzer Prize winning health and science journalist and author Amy Ellis Nutt transforms their saga into a page turner that educates as it captures the reader emotionally. Nutt exquisitely narrates the love and acceptance that the family shares as she reveals their poignant story with journalistic integrity. Today as transgender individuals are being thrust into the news, many people either don’t know a transgender person or aren’t aware if they do know one. Reading a book that’s as well researched and beautifully written as this one should help people who want to be informed. Summing it Up: Read Becoming Nicole to educate yourself on a hot button topic and to understand why it’s important to respect individuals as people not just as an issue to discuss. Combining biology, research, and compelling stories, this is a brilliant work of nonfiction. I loved John Grisham’s early courtroom dramas and thought The Painted House an outstanding novel as well as an enjoyable read. I chose to read his latest Camino Island because it featured independent bookstores, authors, rare books, and suspense – what’s not to love? The first section of the book didn’t disappoint as it put me in a clever scheme in which a gang of thieves masterfully stole five original F. Scott Fitzgerald manuscripts from a Princeton library. (Bonus points because I adore everything Fitzgerald!) The panic the burglars created that allowed them access to the papers was brilliant, the tension was perfect, and the robbers made me admire their skill. After the manuscripts disappearance, Princeton’s insurance company hired unemployed author Mercer Mann whose need for money to pay off student loans made her just desperate enough to take on the task of befriending a possible link to finding the papers. Cable, the potential suspect, owned a bookstore with a rare book section on Florida’s Camino Island. Since Mann had grown up visiting her grandmother on the island and she’d previously been invited to read at the store, she seemed a smart choice. Once the novel hit the island, it turned into a Harlequin Romance – although that might be unfair to Harlequin titles as they often have better dialogue. The romance took a turn toward the sophomoric with Cable as a cardboard character whose different colored seersucker suits were his most interesting trait. Author Mann didn’t have a distinguishing wardrobe, a memorable personality, or words worth remembering. Readers, decide for yourselves. Is this the scintillating dialogue and budding romance that makes a novel fun to read? Readers, you can do better. If you’re looking for an exciting series that focuses on rare book collecting, turn to John Dunning’s terrific Cliff Janeway titles. They’re the real deal. 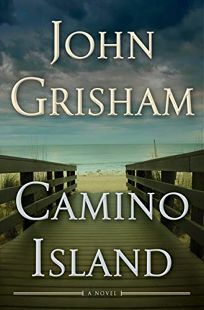 Summing it Up: Camino Island is the unfortunate mesh of a promising Grisham thriller and a boring and predictable romance with a conclusion hundreds of other caper mysteries have done ad nauseam.